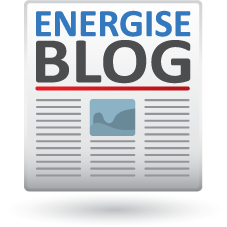 Home Why Energise Why Use a Mortgage Broker? 1 in 3 Australians use a mortgage broker when looking for the right loan. Perhaps you’re a first home buyer negotiating your way around the home loan maze for the first time. Or maybe you’re looking to upgrade to a new home, or to use the equity in your home to buy an investment property. Or maybe you just want to know that you have the best rate on your existing home loan. Whatever your circumstances, a mortgage broker can assist you. Their advice should be completely independent, and in most cases, is completely free. Even if your credit history is not excellent, or your lending situation is unusual in the eyes of the mainstream lenders, a mortgage broker may still be able to assist you. Even for more complicated loans, a broker has the experience to navigate around the bumps and hurdles that customers can experience if dealing with a lender directly. Often an individual customer does not have the experience or know how to overcome a hurdle if dealing with a lender directly.